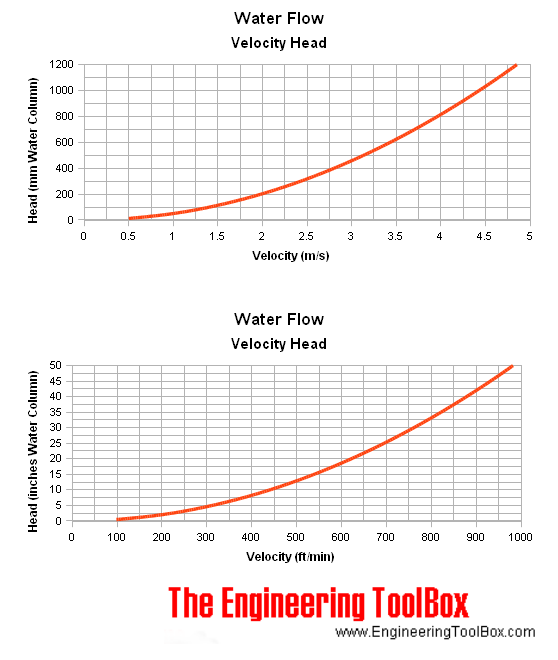 This calculator can be used to calculate water velocity in a pipe or water stream from a measured head of water column. The dynamic pressure as head is typically measured with a pitot tube. Note! - these simplified equations must be relaculated for other air temperatures and densities. 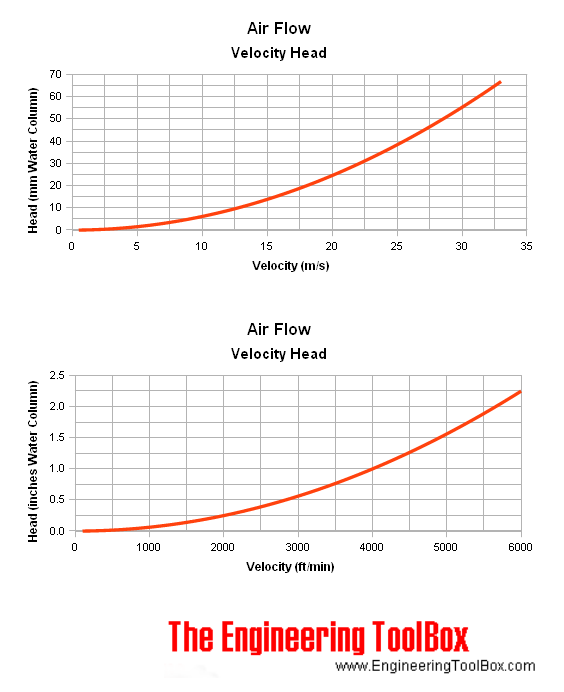 This calculator can be used to calculate air velocity in a duct or air stream from a measured head of water column. The dynamic pressure as head is typically measured with a pitot tube. Charts are based on air density 1.205 kg/m3 and water density 1000 kg/m3. Table based on ρf = 1.205 kg/m3 (C = 4005, temperature 70oF) and ρw = 1000 kg/m3 (1.940 slugs/ft3). Engineering ToolBox, (2005). Velocity Pressure Head. [online] Available at: https://www.engineeringtoolbox.com/velocity-head-d_916.html [Accessed Day Mo. Year].